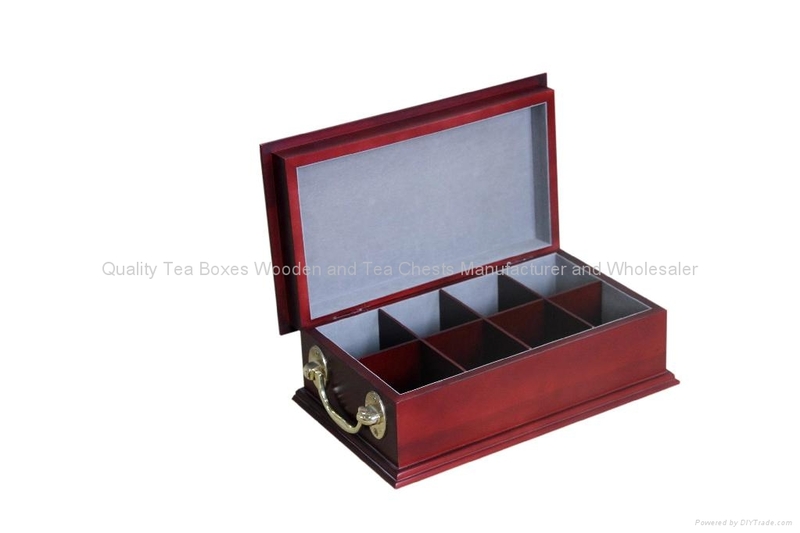 This tea chest is made of solid wood with cherry finish outside. Inside it is lined with felt including bottom and lid. On the lid felt, we can embossed customer's logo in gold/silver color. Since this tea wood chest is more solid, we add two brass handle for customers easier to carry. Two brass hinges and the handle makes the whole cherry more luxary.